This article was written by Rhonda Kronyk and was originally published here. This year marks the 100th anniversary of Canadian women getting the right to vote. In recognition of these hard-fought battles, local professor Michelle Brewer is inaugurating a film festival called You Can’t Keep a Good Woman Down, which will run for three consecutive Tuesdays beginning March 8, 2016, or International Women’s Day. Each evening includes a feature film and a subsequent discussion with community leaders. The first screening of a film called Suffragette, is inspired by the women who put their lives, families and jobs at risk fighting for the right to vote. 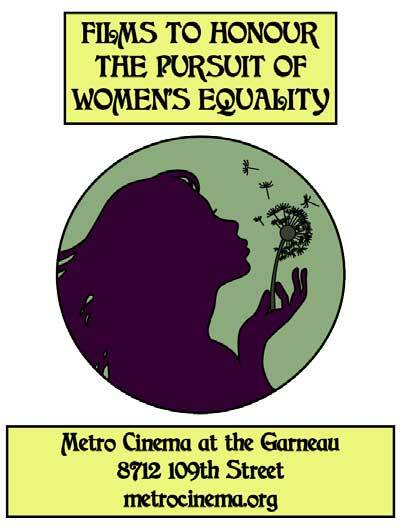 Representatives from the SkirtsAfire Festival will speak; Sally Issenman from Fair Vote, City Councillor Bev Esslinger, and author Joan Sangster will provide opening remarks. Margo Goodhand, former editor-in-chief of the Edmonton Journal, will host a panel discussion called “Edmonton Women Authors in Conversation.” The discussion will highlight the achievements of 15 of Edmonton’s best-known female authors including Alexis Kienlen, Caterina Edwards, Janice MacDonald, Kate Boorman, Wendy McGrath, Margaret MacPherson, and Gail Sidonie Sobat. The second and third films focus on the nearly 1,200 missing and murdered aboriginal women in Canada. Brewer hopes this will be the biggest night of the festival: “We want to open the conversation and not ghettoize this issue to Indigenous people. Edmonton has the opportunity to be at the forefront of reconciliation.” The evening will begin with opening remarks from Councillor Scott McKeen, Muriel Stanley Venne, president and founder of the Institute for the Advancement of Aboriginal Women and Lorna Martin, the daughter of a missing woman and the Director of the Aboriginal Centre at McEwan University. The two films are Spirit of the Bluebird and Unnatural & Accidental. Following the screenings there will be a question and answer session with the filmmakers, Muriel Stanley Venne, and Roxanne Blood. The evening also includes an art show called Body Politic, curated by Stacey Cann of Harcourt House, and live music.